Together with the presentation of the 8th generation of the Porsche 911 Typ 992 at the Los Angeles Auto Show, Ramp Publishing presented the “Porsche 911 Design Book: the next generation”. The author of “Porsche 911 Design Book: the next generation” is Michael Kökritz, publisher and creative director of the Automotive culture magazine Ramp. For this book, the author Michael Kökritz was in close cooperation with Michael Mauer, the Porsche Chef designer. The book shows numerous pictures and illustrations from the 7 generations of the Porsche 911. After all, the design of a new Porsche 911 is not like the average design of a car. Designing a Porsche 911 is about sculpturing a lifestyle, it’s not just like designing another car. A Porsche 911 is not the most conventional car. The design of a Porsche 911 has become an identity over the different generations. Every new Porsche 911 model needs to take into account the history of the Porsche 911 and respect the legendary forms. A new Porsche 911 needs to be recognized as a Porsche 911 immediately. A new Porsche 911 needs to represent the culture a Porsche 911 and it’s fans stand for. Imagine the responsibility the designers have designing a new Porsche 911. The book “Porsche 911 Design Book: the next generation” show the complete design process of a Porsche 911. The book is illustrated with illustrations and pictures of that process. From the sketches all the way to pictures of the new Porsche 911 Type 992, you’ll find them all. Not the most conventional book about Porsche. 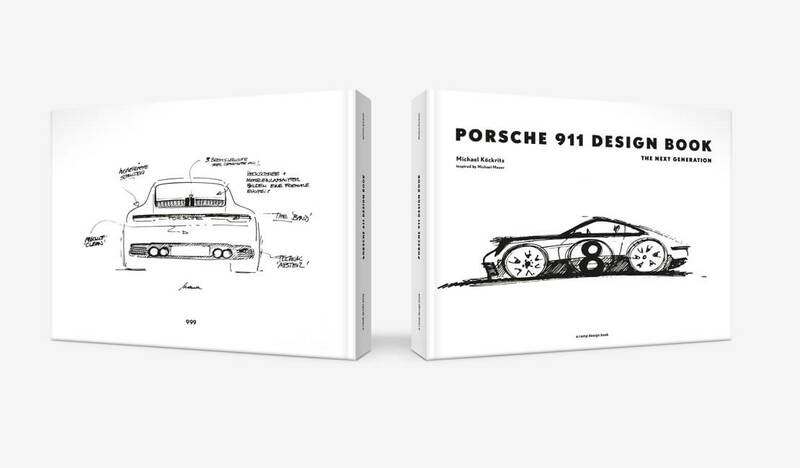 Not an encyclopedia of knowledge, but a great book to discover how a new Porsche 911 is designed.